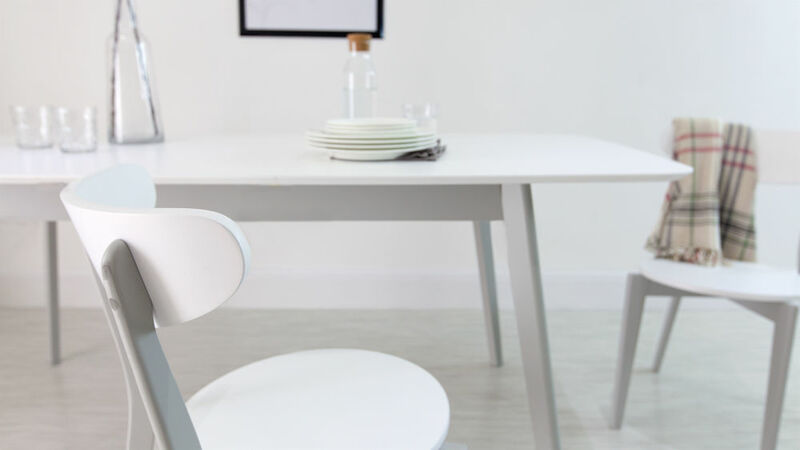 If you are looking for a stylish but affordable dining set then the The Aver Grey and White Extending and Eames Dining Set is the ideal choice for you. 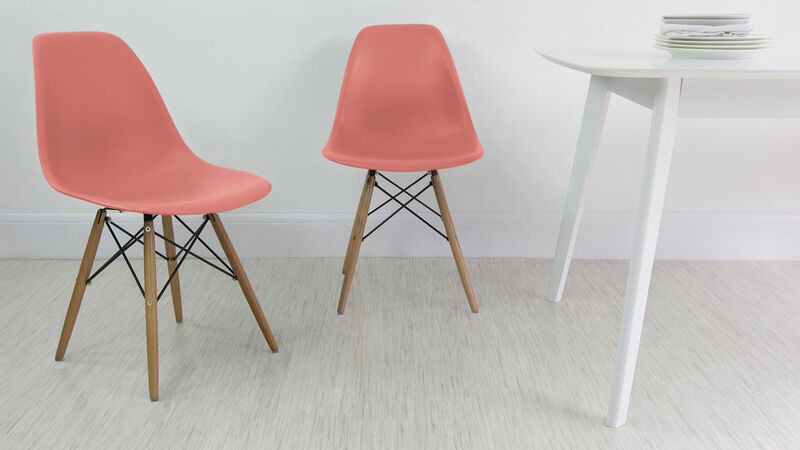 This set is part of our new spring summer range and will bring a fresh stylish look to your home. 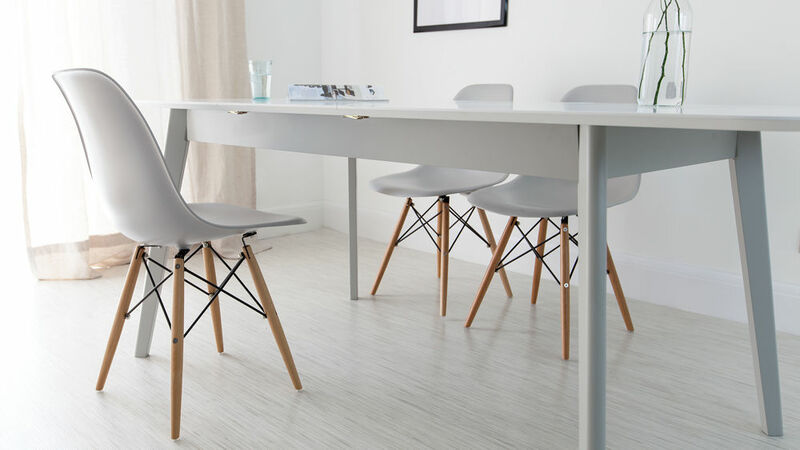 The on-trend Grey and White extending table can comfortably seat four or six if you place an extra chair at each end, but when its extended it will easily accommodate eight. 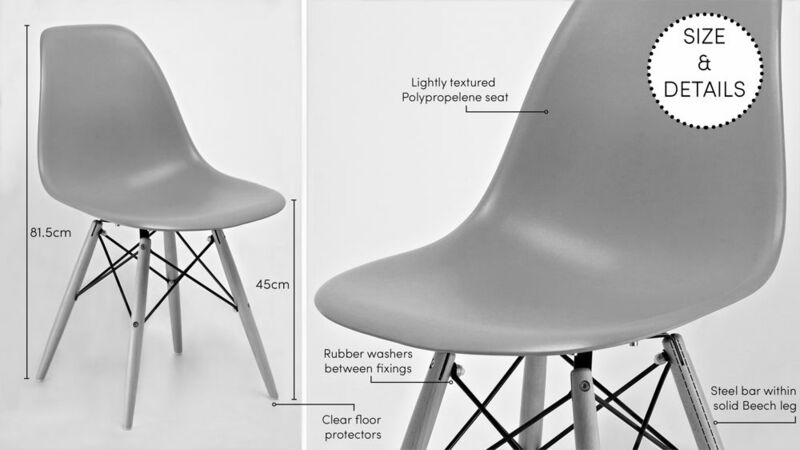 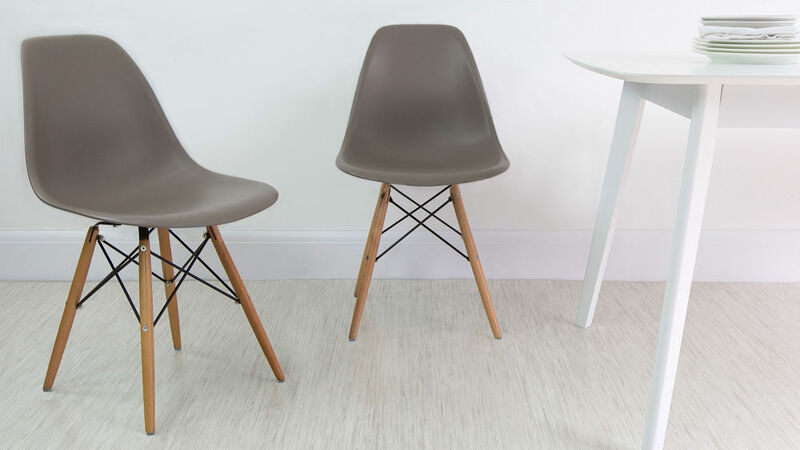 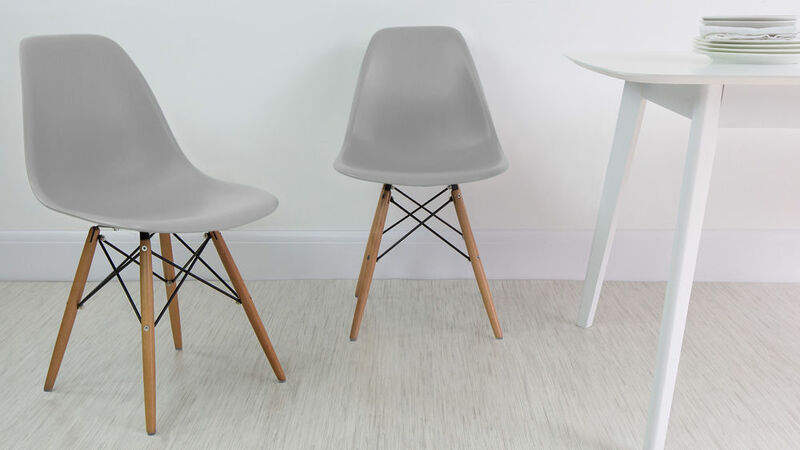 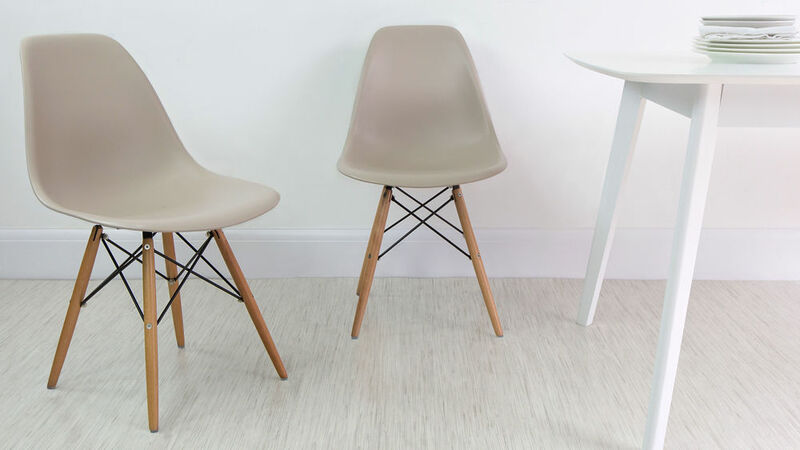 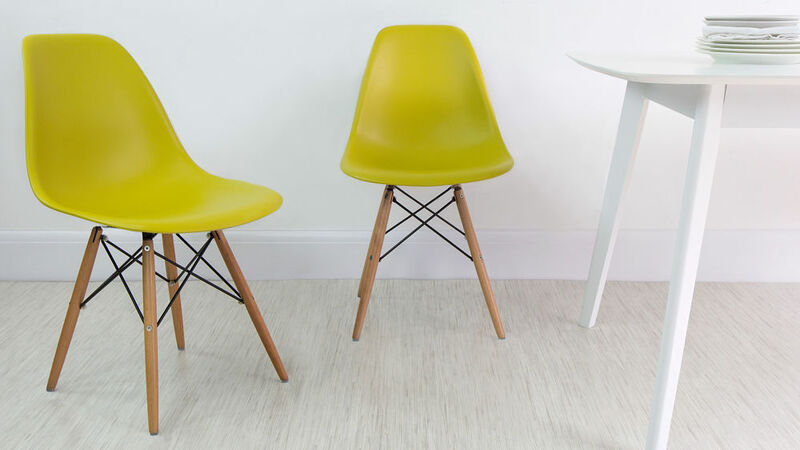 When coupled with our popular best selling Eames style chairs, the set takes on a fabulous contemporary retro feel. 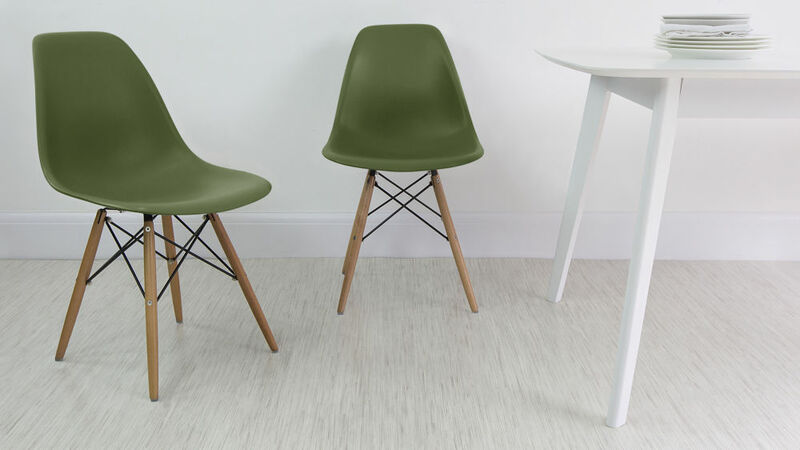  The table has a modern feel with its smooth, matt satin finish which matches the non sheen plastic of the Eames chairs. 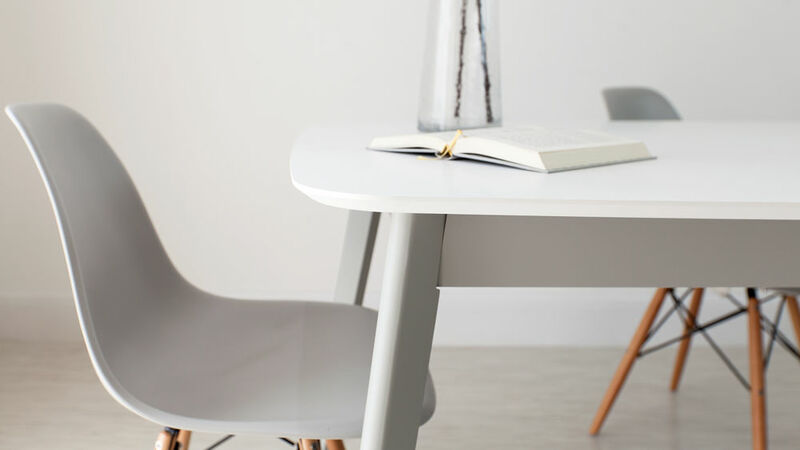 The added grey detailing on the table provides an interesting designer finish - grey is a great neutral that blends beautifully with all kinds of colours. 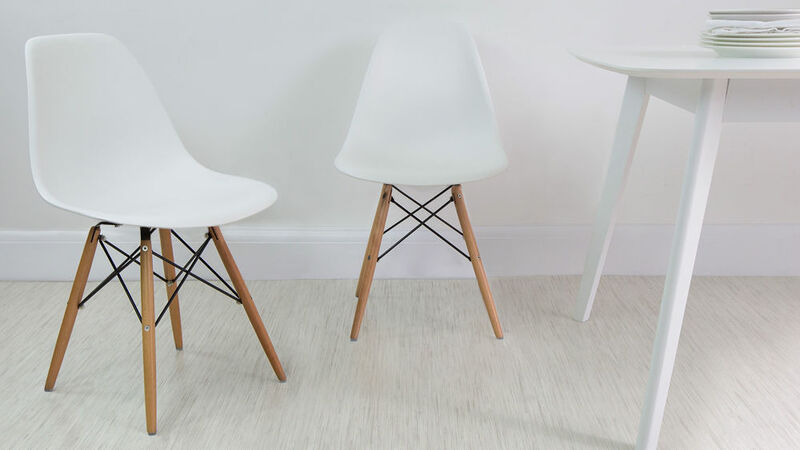 This dining set has elements of subtle curve which adds design detail to it's simplicity. 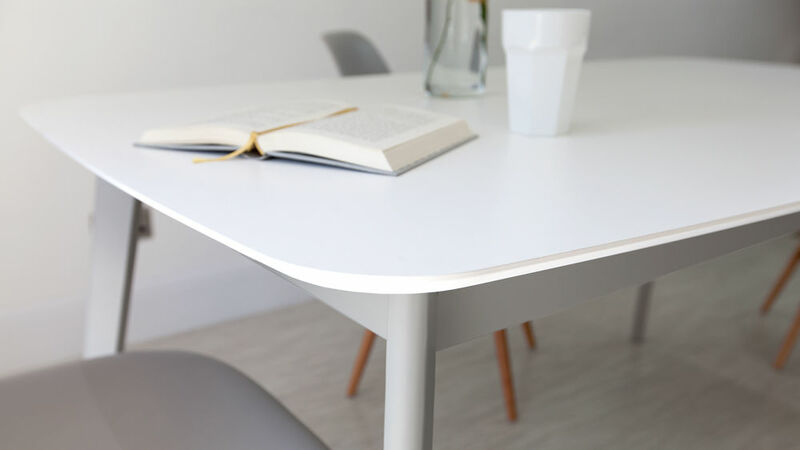 The table top edges are chamfered which gives the table a slim profile and the table top corners have been slightly rounded off so there are no hard edges or corners to bump into. 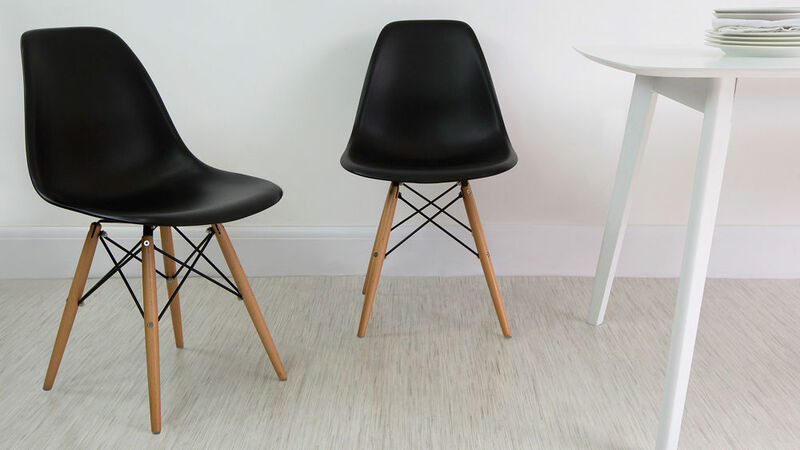 The sculpted soft edges of the chairs mirror this shape. 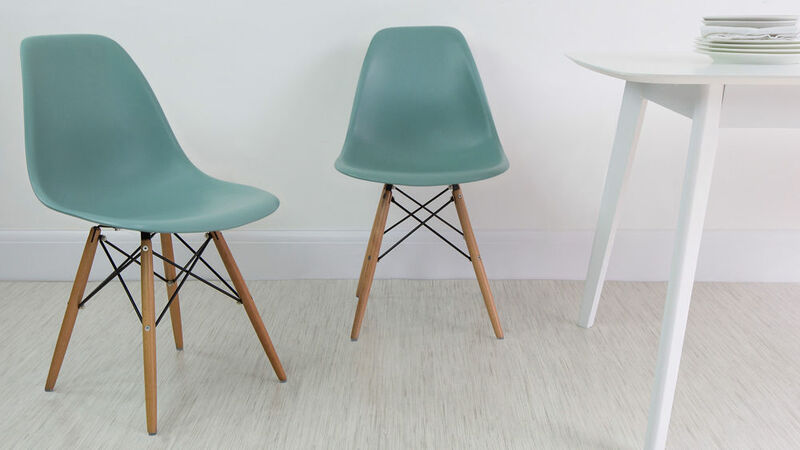 The style of the table is a simple four legged apron construction, the shape is simple and clean, a modern take on a traditional table. 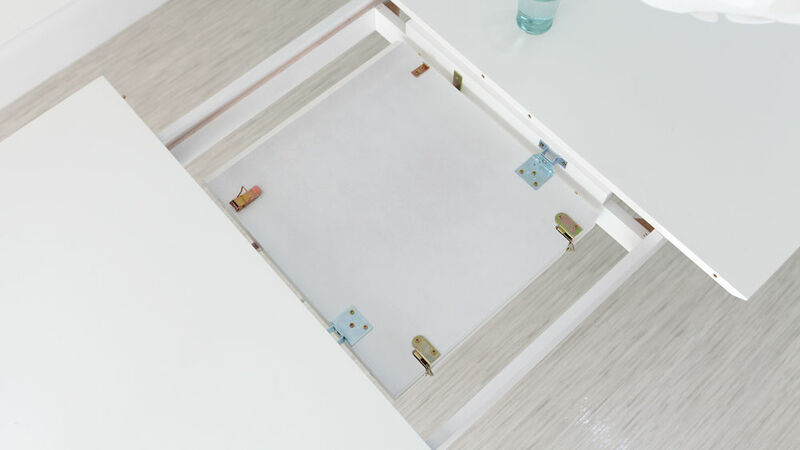 The butterfly extension is concealed in the top of the table, a rare but handy detail in a table of this price point. We've designed this table with affordability as the priority, making every effort to deliver accessible style.